You want to invest in educational intelligence software to gain insights about your students and campus to inform strategic decisions, and to help streamline processes such as accreditation, assessment, and annual faculty reviews. But purchasing software for your institution is a high-stakes decision, so how do you choose the right partner to ensure you have the solution and support you need? Being a savvy buyer is about asking the right questions and finding credible answers before you sign a contract. Here are some tips for choosing a SaaS vendor who can help you make a smart choice and achieve success with their software on campus. 1. Take a pass on the product pitch. Any software vendor rep can persuasively detail the capabilities of their system, but that’s putting the proverbial cart ahead of the horse. Look for a vendor whose rep cares more about your pain points and desired outcomes than pitching their product. Expect a rep to take a consultative approach. They should learn about the current state of your process, the problem you’d like to solve and what you’ve already tried before making recommendations or demonstrating their product. 2. Favor a proven track record. A startup software company may have vision and funding. They may even know higher education. But great ideas are a dime a dozen. 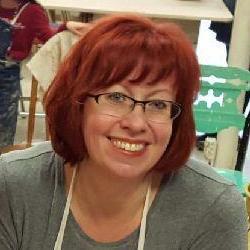 Would those ideas resolve your current pain points? And can the vendor translate ideas into successful solutions? Experience comes from years of understanding the needs of institutions like yours—plus the day-to-day work of building software and supporting users. A startup may have a dazzling, vision-oriented slide deck or offer rock-bottom pricing, but 70 percent of tech startups fail1. Look for an established company with solid financials and a proven track record of delivering solutions—and supporting them. 3. Check on the pace of change. 4. Get the support and guidance you deserve from a partner. A dedicated and knowledgeable support team is valuable to your university on many levels. From implementation best practices, to guiding you through report setup for accreditation, to helping you envision how else you can leverage your data to make quality improvements, a robust support team should be guiding you and available to answer questions as needed. Choose a vendor that has a team of professionals with expertise in higher education and deep knowledge of how to use their software to meet your institution’s needs. This is at least as important as any other feature or benefit on offer. 5. Look beyond the window dressing. It’s important that the vendor you choose combines technical skill with a deep knowledge higher education. It’s easy to be charmed by someone like ourselves. But as reassuring as it is to talk with a former faculty member, does that feeling of familiarity ensure that a software vendor has programming excellence, useful workflows or effective data capture and reporting? Sadly, no. Look for a vendor who understands your pain points, and has a technical team that can turn knowledge about your needs into fully realized software solutions. 6. Learn from your peers. When it comes to the success of a software solution or the quality of support, don’t take a vendor’s word for it. Ask for and contact referrals, and reach out to colleagues in your institution who may have worked with this vendor or used the software in the past. In addition, ask the vendor to show you the resources available to the user community. Do they maintain a hub of documentation and resources for users? Is there a forum for active and engaged users to exchange information? Do they actively seek client contributions to their product evolution and roadmap? Do they have an in-person conference that brings users together? 7. Give weight to integrity. Beware of a vendor who spends time talking down competitors rather than exploring your institution’s needs and outlining how their solution can meet them—bad-mouthing others is often a sign of bad faith or insecurity. Be equally cautious of a vendor who talks down other higher education institutions. Refocus the conversation to ensure you learn what the vendor understands about higher education and what problems their solution can solve. Then consider: do you trust that this vendor will operate in good faith? A vendor who focuses on your needs and speaks knowledgeably about how to meet them is a partner worth having. 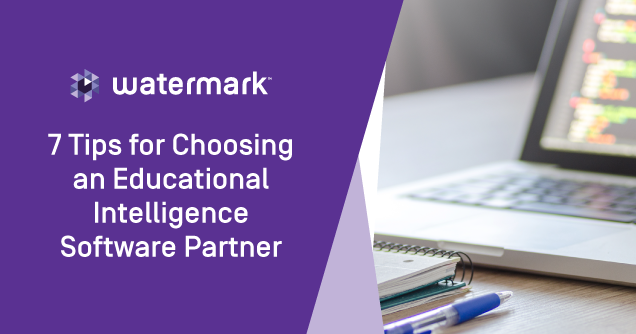 The right educational intelligence vendor becomes a valuable partner in your journey to use data on campus. Select one with a breadth of experience, a proven track record that can be validated by strong references, and a focus on delivering solutions that will support your institution’s initiatives.